SH Figuarts unveiled these figures at Tamashii Feature’s 2016 event. 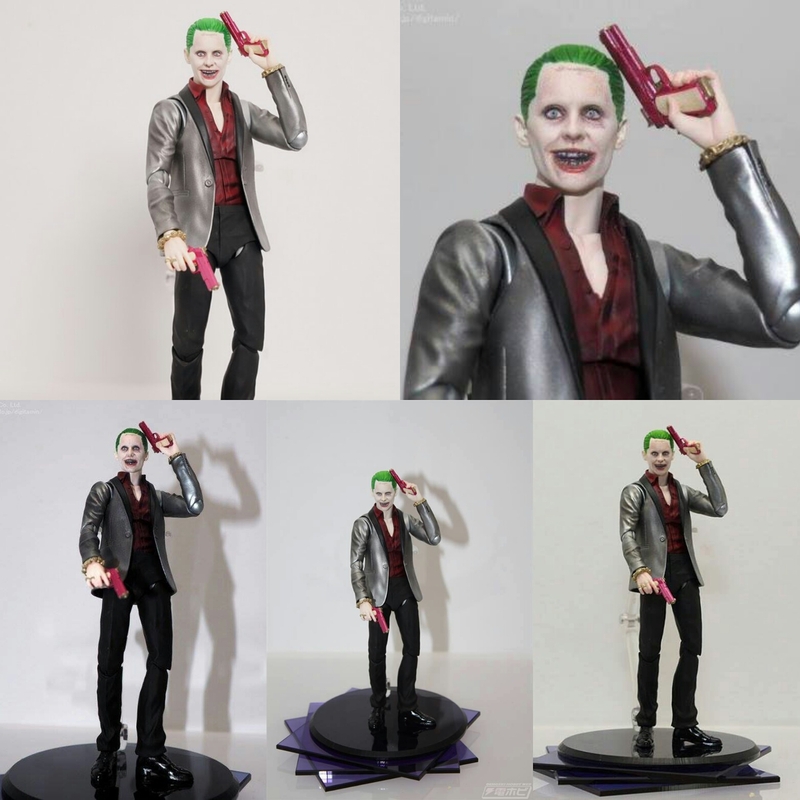 Harley Quinn And Joker feature likenesses based on the actors (Margot Robbie and Jared Leto) who play them in the upcoming Suicide Squad movie, stand about 6″ tall, and have multiple points of articulation. (BALTIMORE, MD) – (November 18, 2015) – Have Harley Quinn help carry your money and cards in a stylish DC Bombshells Mighty Wristlet from Dynomighty, Inc.! The wristlet is available to pre-order from the November PREVIEWS catalog and will arrive in comic shops in late January 2016. 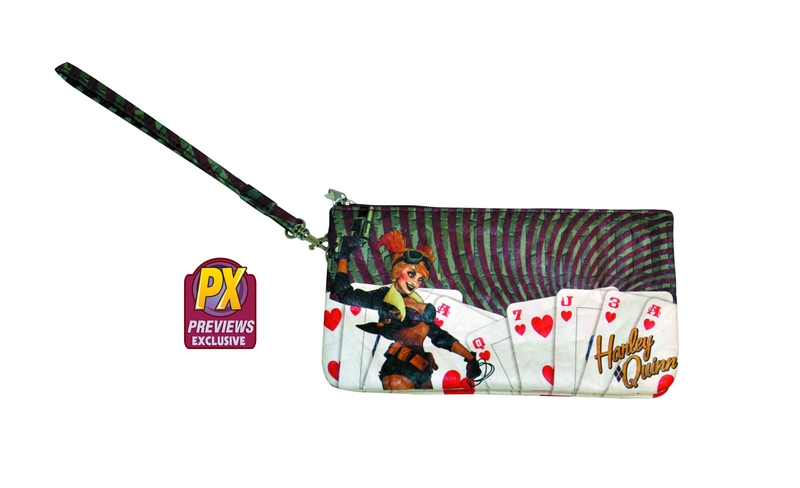 The Mighty Wristlet features Ant Lucia’s iconic DC Bombshells Harley Quinn art and a red and gray playing card motif. The wristlet has one large zip pocket with a smaller inner zip pocket to hold cash or coins and four other pockets for credits cards, receipts or business cards, and a wrist strap for easy carrying. The wristlet is made of slim but durable Tyvek, a series of interlocking plastic fibers spun in random patterns to provide strength and will resist water and tears, and is expandable to suit your storage needs. 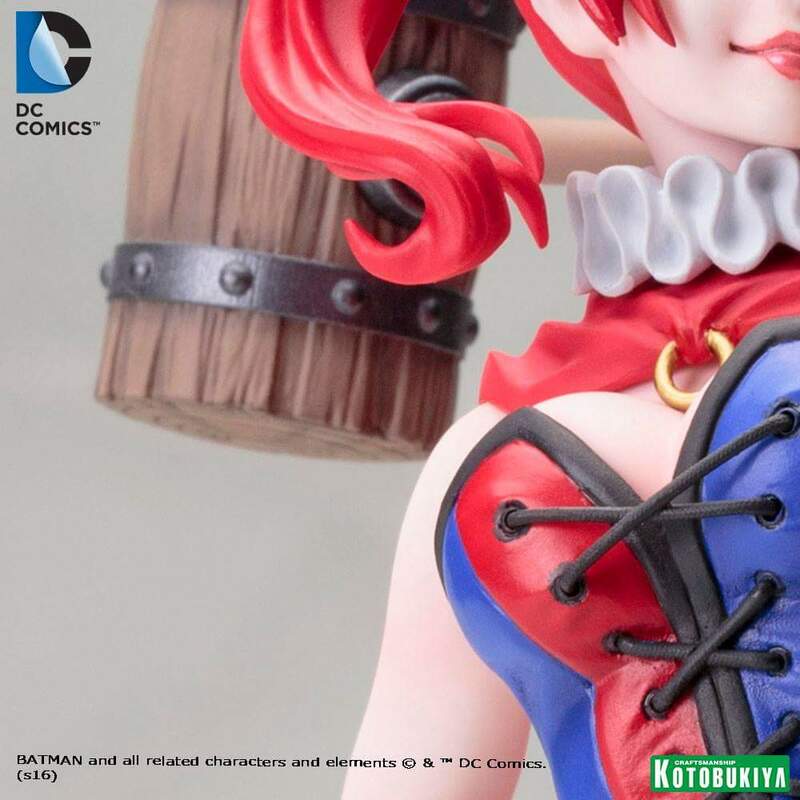 Fans can also find PREVIEWS exclusive DC Bombshell Mighty Wallets in their local comic shops featuring Batgirl, Catwoman, Harley Quinn, Poison Ivy, Supergirl, Wonder Woman, Black Canary, Hawkgirl, Katana, Mera, Star Girl, and Zatanna. The Harley Quinn DC Bombshells Wristlet can be pre-ordered from comic book specialty shops for $30.99 using item code NOV152146. Find a comic shop at www.comicshoplocator.com to order yours today! 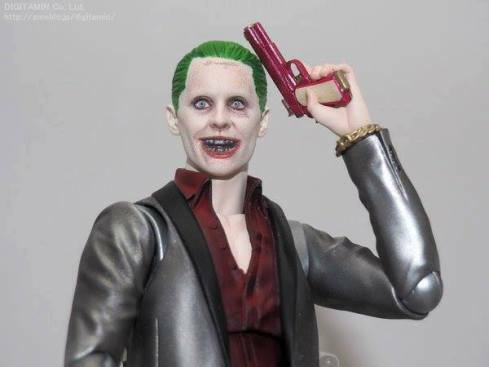 Would you Trust Harley with Your Money? 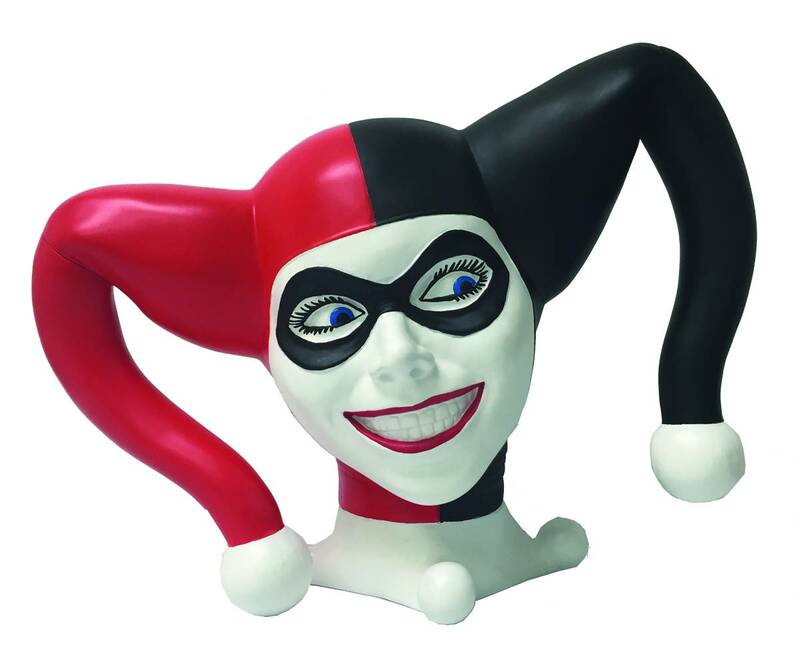 with the larger than life PREVIEWS Exclusive Harley Quinn bank from Monogram Products. The life-sized head bank is available to pre-order from the April PREVIEWS catalog and is scheduled to release in comic book specialty shops in late August 2015. 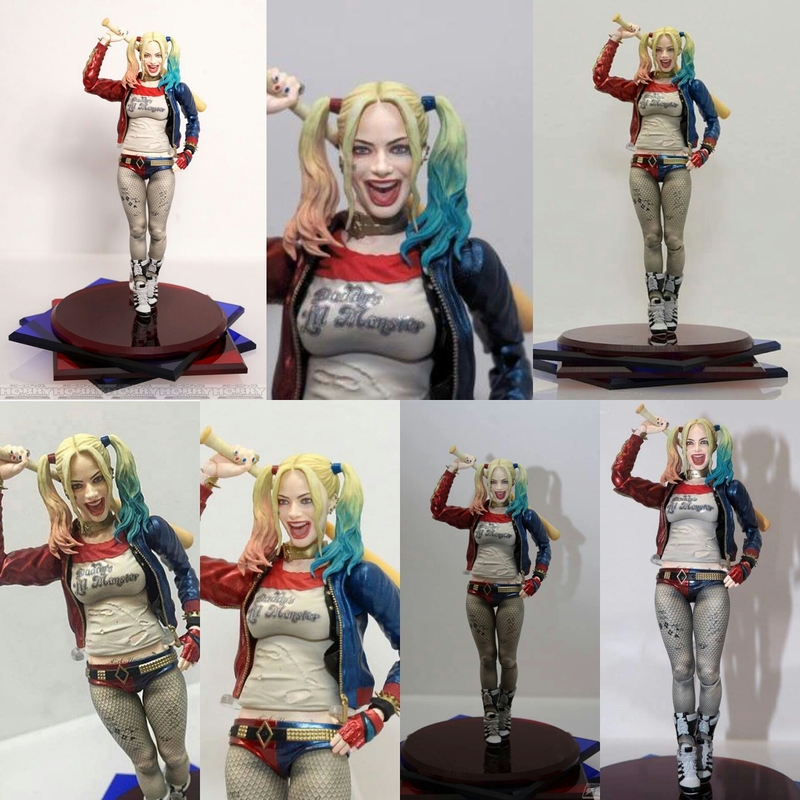 The fan-favorite DC Comics character Harley Quinn will look after your loose change as an impressive sculpt measuring 11 ½” tall by 14” wide featuring Harley’s harlequin face that acts as both a bank and impressive collectible for any DC Comics fan to showcase. The bank is available to order at comic book shops for a retail price of $29.99 using item code APR152658 from the April PREVIEWS Catalog. 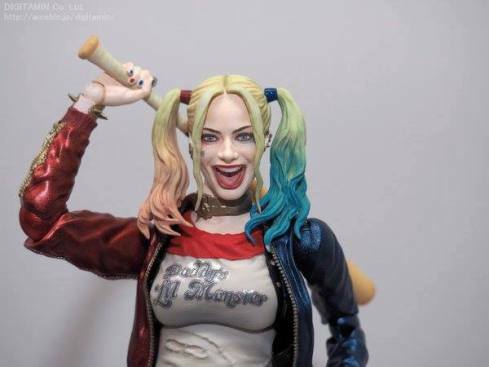 Fans are encouraged to pre-order their own Harley Quinn bank at their local comic shop at their local comic book shop from the April PREVIEWS catalog to ensure they get it when released in May. Find a comic shop at www.comicshoplocator.com. beloved Females from around Geekdom and made them in to 3d Goddess! 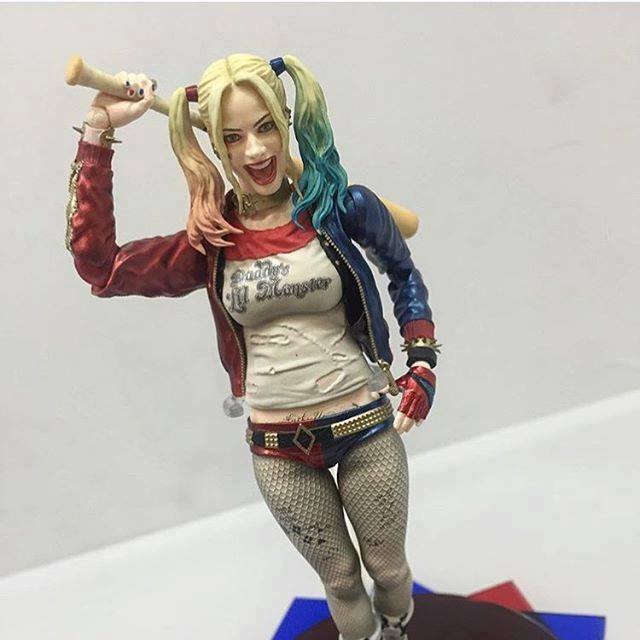 This Bishoujo Harley Quinn only touches the surface. Pre-order yours today ! Here or Here Tell ‘Em Alternative Mindz sent ya!